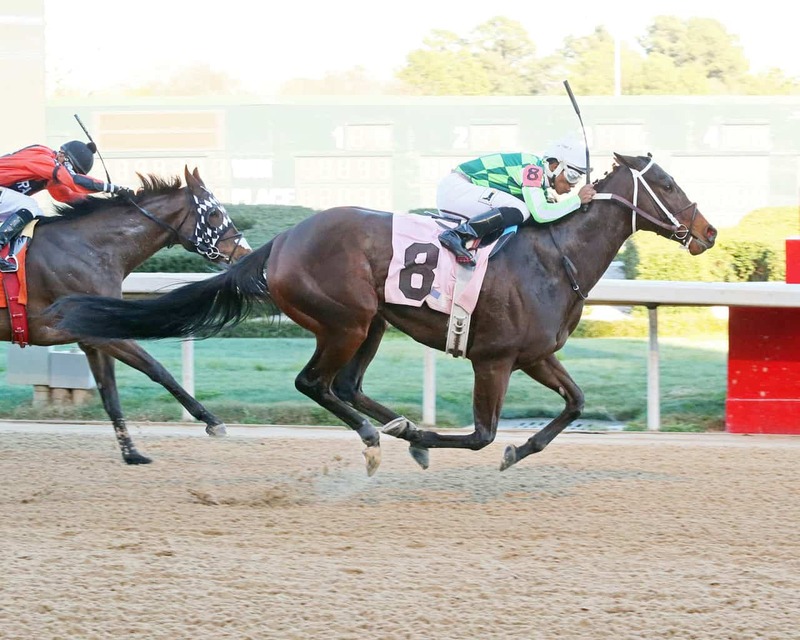 HOT SPRINGS, AR – Ten Broeck Farm’s Chanteline rebounded very well from a disappointing last-out effort, taking advantage of the first fast Oaklawn Park track in a month to win Saturday’s $125,000 Spring Fever Stakes. Breaking from post 8 under Ricardo Santana, Jr., Chanteline vied close to the lead among several foes through initial splits of :22.03 and :45.56. Hitting the top of the stretch in full command, Chanteline held her 1 1/4-length lead through to the wire in a final time of 1:04.29 for the 5 1/2-furlong event. Marquee Miss necked out second over Swing and Sway, while Natural Wonder was a nose past Thoughtless in fourth. Okie Diva, Scotty’s Model, Barbary Hall, the favored Golden Mischief, and Defy completed the order of finish. Chanteline’s victory was her third at Oaklawn Park and improved her record to 21-6-6-3 with career earnings of $393,972. The 6-year-old daughter Majesticperfection was ninth in the 2016 edition for trainer Steve Asmussen. Chanteline returned $10.40 to win, $6.40 to place, and $4 to show. Marquee Miss brought back $22.60 to place and $11 to show, while Swing and Sway paid $4 to show.